Mari Tour Thailand (Formerly Mari Tour Phuket) We are a local travel agent in Phuket Island, Thailand. 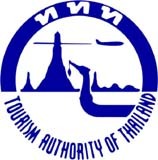 Authorized from Tourism Authority of Thailand. We have been here in Phuket since our childhood; we have been organized tours in Phuket, Krabi, Phang Nga and nearby provinces in the southwest of Thailand for five years. Our team is experienced, reliable, responsible and friendly. Our objectives are offering only the best tour packages and providing optional tours in the reasonable price, with our best quality of services to our clients. Because we know that “Return visitors” are more important than money. Therefore we are trying to develop our services for competition with thousands of travel agencies in world wide market. Let us assist you for your holidays in Phuket, Thailand.